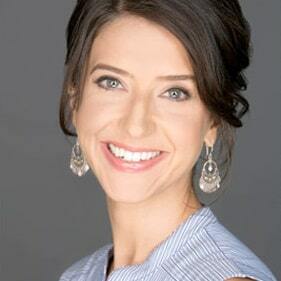 Programs manager Grant Rosenberg interviews the Library Visiting Fellow Vanessa Manko about her upcoming novel tentatively entitled A Question of Illumination, about the American pioneer of modern dance Loie Fuller. Vanessa will be speaking at the Library on Wednesday 25 April at 19h30. What are some of your early library memories? I was always a big reader, but because my first love was dance, what I remember was either going to the local or school library and finding the dance section. I would sit on the floor, spread out the books and look at all the pictures of the dancers. I was obsessed with dance; I looked at pictures of dancers, I read stories about dancers, and about dance history. In Brookfield, Connecticut. I remember…I must have been 13 and then a freshman in high school, it was a safe space to have a moment before the chaos of school started, where I could sort of contemplate and think and engage with dance in a way. Actually that’s how I begin my days now too; whatever I’m working on I begin in the morning interacting with the novel before any other part of the day begins. What were some of these books? A lot of them were picture books or images of Russian dancers. 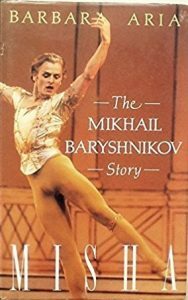 At the time Baryshnikov was huge. 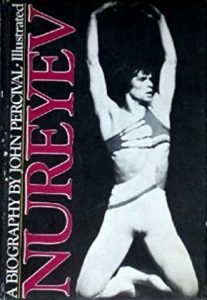 I remember one book called Private View: Inside Baryshnikov’s American Ballet Theatre, and it was all the pictures of backstage and touring and what it was to be a professional dancer. 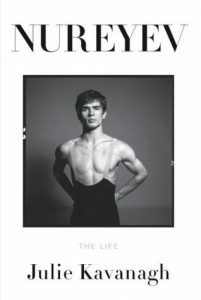 There was also a book about Margot Fonteyn, Rudolf Nureyev. 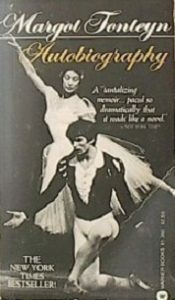 And a YA novel about Maria Tallchief who was a ballerina with the New York City ballet. 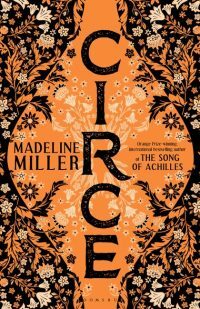 Can you talk about your transition from dancer to novelist? I was always a big reader but it was when I attained the goal I’d worked at for so long, dancing with a professional company, I found that I was doing a lot of reading. That’s one thing you find; there is a lot of down time during rehearsal. I think it was having gone from a conservatory where I had dance training and academics, being thrown into the more professional world, I suddenly missed the academic side. I was 20 or 21 and I thought to myself,” ok, either it’s dance for the rest of your life or you can go back and get your education.” At the time, which is now 20 years ago, dancers then weren’t getting an education while dancing professional. That’s not the case anymore. So I made the decision to go back to school, and I didn’t know what I wanted to do yet; I just knew that I was lacking the knowledge that I was craving. Craving my education. And this was something new in me, since I’d always been about dance until then. So I went to the University of Connecticut, majored in English, and decided to study abroad and came to Paris. I arrived with a bit of an identity crisis because I’d been a dancer for so long. And I would see Dance, which I missed, and even took dance classes, then immersed myself in literature. I went to Shakespeare and Company all the time and found myself in the odd position of taking a course at the Sorbonne about American literature between the two wars, and it was taught in French. That was fascinating. So it was really here in Paris that I really started to love writing and language, and had the first inklings of writing as something that would replace dance. I was still very uncertain of myself at the time and so attached to my identity as a dancer. And after that year I went back to the U.S. to NYU, and started to find ways to combine my love of dance with writing. There are similarities: you ahve to do them daily, have discipline, practice, repetition to get things right to get the rhythm of a sentence right, constant revision. Wriiting is somethign I can immerse myself in the way that dance was an obsession. So I found myself right back where I started (laughs). How did you come to be interested in Loie Fuller, the subject of your novel in progress? Well, it’s funny; when I was studying dance history and looking at those pictures, her image was one that always struck me. Again, it’s the poster of her in a swirl of silks and it says Folies Bergeres and La Loie Fuller. That image always stuck with me and I wondered who she was and what she did. I was just drawn to it. I would see her in these dance history books and she got a footnote in history that she came here to Paris and was an overnight sensation. When you dig into her story you see how intrsumental she was to the start of modern dance. I find it fasciantiong that she as an American had to come to Paris to make that happen. I also was interested in her because she inspired so many artists and writers of the time, and their works are concrete and they exist; we can see a Rodin sculpture or a Toulouse Lautrec painting but Loie fuller and her dance have disappeared except for the few films that exists. I was struck by that sense of dance as ephemeral and how we sort of lost that history in some ways. 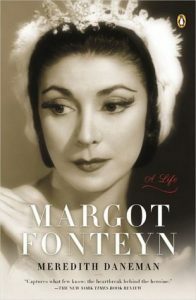 I started to read more about her and she seemed like a fasciantig person and I also got interested in the times and what was going on then to allow for modern dance to be created. Women were moving about more, there was concern about physical reform movements and dress reform, because corsets were killing women. And the industrial revolution and electricity and the steam engine, car and this sense of being outside, just a women being able to leave home unescorted…there wa a lot of movement going on politically, emotionally, and physically and I thought “no wonder modern dance happened at this time; it’s definitely a female art form. So I wanted to tell her story and figuring out how someone like her influenced the women around her. That’s how my novel is taking shape.